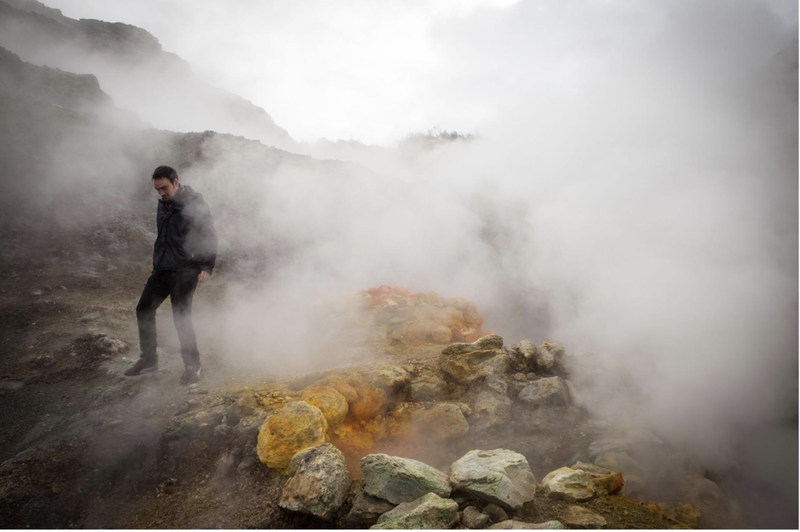 Is Italy's 'supervolcano' filling with magma? Get the facts. Also known as the Phlegrean Fields, Italy's Campi Flegrei is a complex volcanic site composed of a network of craters and hydrothermal features. Overlapping craters of all sizes pockmark the Campi Flegrei volcanic region, which is nestled at the western edge of Naples, Italy, and stretches out into the Mediterranean Sea. Today, more than half a million people have settled near the slumbering volcano, whose rumblings and effusive gasses reflect the heat that still brews below. Twice in the last 60,000 years, large blasts of volcanic ash and rock have blanketed the region, and a smattering of smaller bursts have happened before and after each big eruption, including the most recent event in 1538. For clues on what's happening in the magma chamber below, a team of researchers have now examined the chemistry of volcanic rocks and glass from historical eruptions, using that data to create a computer model to simulate the conditions leading to an eruption. Their study, published today in the journal Science Advances, could help scientists get a grip on the waking and sleeping cycles of these cataclysm-causing volcanoes. One particular takeaway will likely make a bang: The researchers conclude that magma under Campi Flegrei may be entering a building phase, “potentially culminating, at some undetermined point in the future, in a large-scale eruption,” the team writes in their study. “We can hypothesize it can occur, but we don't know when,” says lead author Francesca Forni of ETH Zürich in Switzerland. She stresses that the work focuses on chemical cycles, “not really when or if Campi Flegrei is going to erupt soon.” What's more, many researchers not associated with the work expressed concern about the application of the results to modern conditions. “As often happens in scientific research, the data collection and analysis may be more important than the immediate interpretations, which in fact are not so well constrained,” volcanologist Claudia Troise of Vesuvius Observatory, the team tasked with monitoring Campi Flegrei's activity, says via email.